Robert Escareno, an inmate at Corcoran State Prison, filed a lawsuit alleging maggots and mice are falling on dining tables at the state corrections facility, and bird droppings are seeping through holes in the roof. The case, which has already gone to trial, has come at a time in which there is increased scrutiny over prison conditions across the state and nationwide. In April 2018, mice twice fell onto the dining table and scurried into a dishwashing area at the Corcoran prison, inmate Marvin Dominguez said in court testimony. In October, a squirmy maggot fell onto Dominguez’s food tray. Escareno testified about how bird feces paint the dining room wall. The plaintiff also said mold and other contaminants aggravate his allergies. State officials say they are fixing the roofs as fast as they can. Officials also argue inmates attract vermin by tossing food and hiding liquor they make, known as pruno, in the damaged ceiling. Lt. Michael Owens testified that inmates toss food onto the ventilation system through openings in the ceiling, which in turn, attracts flies that produce maggots and fall from the ceiling. Meanwhile, Lt. Nicholas Tyler testified inmate workers likely climbed atop kitchen carts to hide 10 to 15 pounds of pruno atop a ventilation duct in the deteriorating ceiling area in November and that, in February, he discovered another batch of hidden hooch, which was attracting flies. Steven Norris, a licensed architect, engineer and building contractor, testified the dining hall roof attracts lots of pigeons that poop. Some of the birds die, and their waste washes into the building whenever it rains, Norris said. In addition to spawning mold, leaking roofs short out electrical systems, including lights, fire alarm control panels and fire suppression systems, corrections officials say. The state has committed $260 million over four years to repair leaking roofs and clear dangerous mold at more than two dozen deteriorating prisons. Overdue maintenance at the prisons is estimated to cost more than $1 billion. Thus far, the state has replaced roofs at eight of California’s 34 prison. Another 20 roofs still need replacement, but the current state budget allocates funds for replacing roofs at just two prisons. Design work alone for the Corcoran prison’s new dining room roof has taken nearly two yers. Prison officials say they do not know when construction will begin. Escareno’s suit demands swifter action. Kings County Superior Court Judge Donna Tarter is expected to decide by May whether to order the Corcoran prison to close the dining hall and feed about 800 inmates in their dormitories. Officials say the proposed stop-gap measure would cause considerable practical complications while interfering with prison programs. Currently, California is about 3,300 inmates below a cap set by federal judges in order to improve prison conditions. 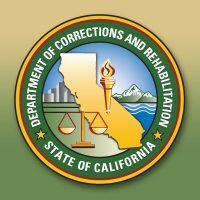 Additionally, 1,400 inmates are expected to be returned from a private out-of-state prison to California facilities by June. If inmates have to be moved because of leaky roofs, the state may risk exceeding its federally-imposed cap on inmates.